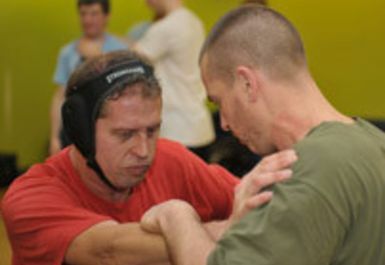 The KRAV MAGA system teaches Modern Day Street Based Self Defence for Beginner, Intermediate & Advanced Levels. 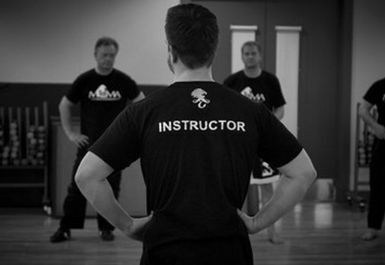 The Syllabus involves Striking/Blocking/Standing Escapes/Throwing/Ground Fighting & Weapon Defence Training. There is a lot to learn and it will take years to become technically skilled but we believe that if you have the correct mindset you can become confident and learn how to defend yourself using the essential elements within the early phases of training. MCMA is affiliated and linked to many highly respected individuals and training centres, within the Martial Arts & Self Defence industry. Seminars in the U.K. & Training Camps abroad are also on offer and available throughout the year for all of our members. Newcomers to martial arts or even experienced martial artists are welcomed, as there is always something new and exciting to learn in our training sessions.